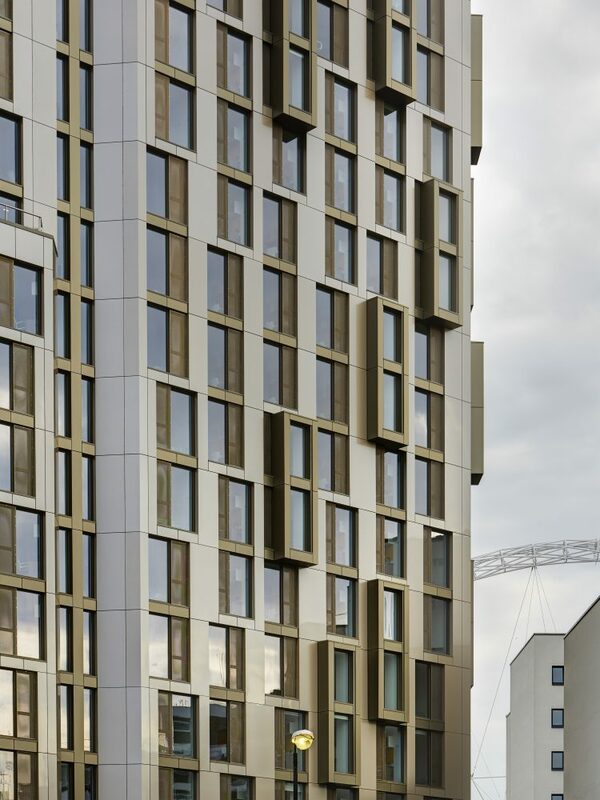 Karma House, the outstanding student accommodation located at the northern edge of the Wembley Masterplan area. The three stepped volumes are exemplary in terms of their modern design as well as their fast erection time. 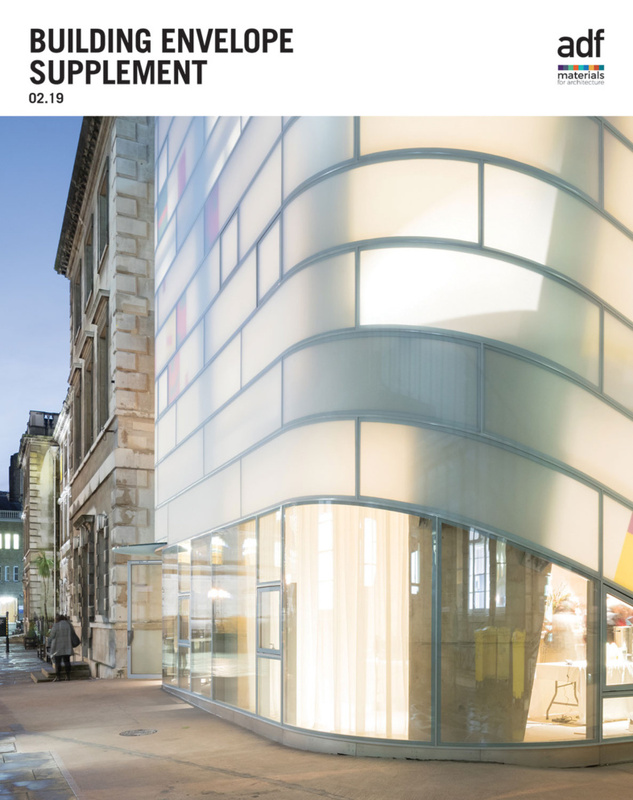 The complex fits into its surroundings with an unusual façade made of ALUCOBOND®. 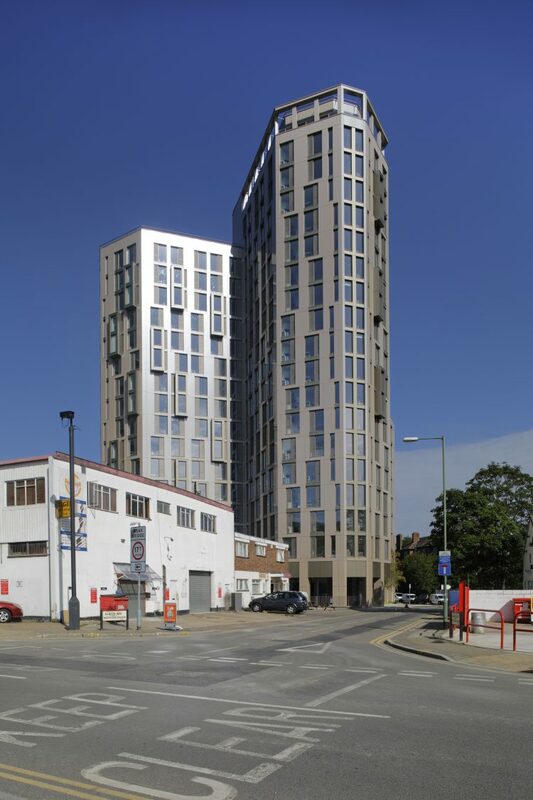 Karma House is a 19 storey student accommodation building on North End Road, Wembley with 450 rooms of student accommodation. 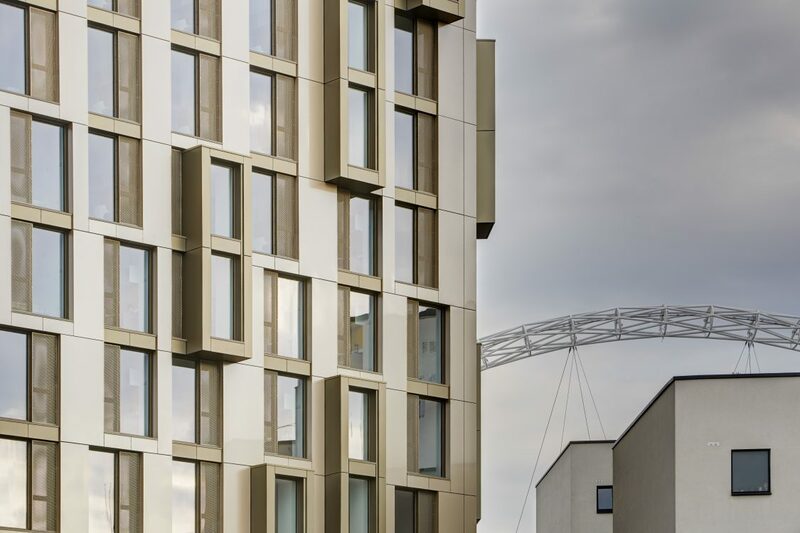 The local authorities wanted to increase the student accommodation offer with a high quality design which sits comfortably within the proposed wider area master plan for Wembley. 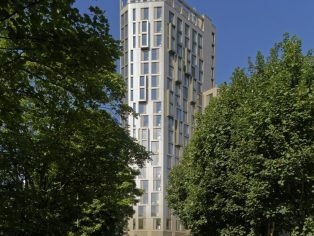 The design vision for Karma House was to create exemplary student accommodation with communal amenity spaces, meeting and IT rooms, a concierge service, bike storage and a shared communal garden. 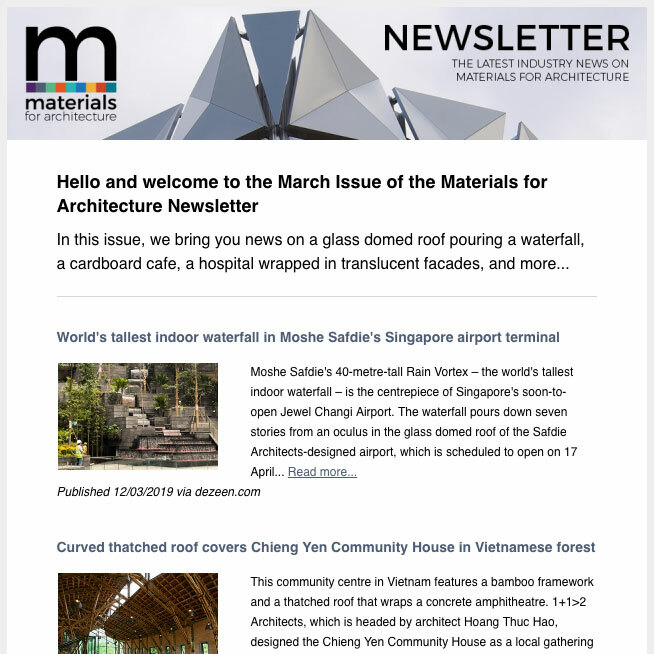 The vision was implemented by a cluster of three slim, stepping towers to resolve the massing constraints set by the immediate context of low-scale light industrial development. Projecting oriels, combined with handing of rooms, create a rhythmic and textured facade. 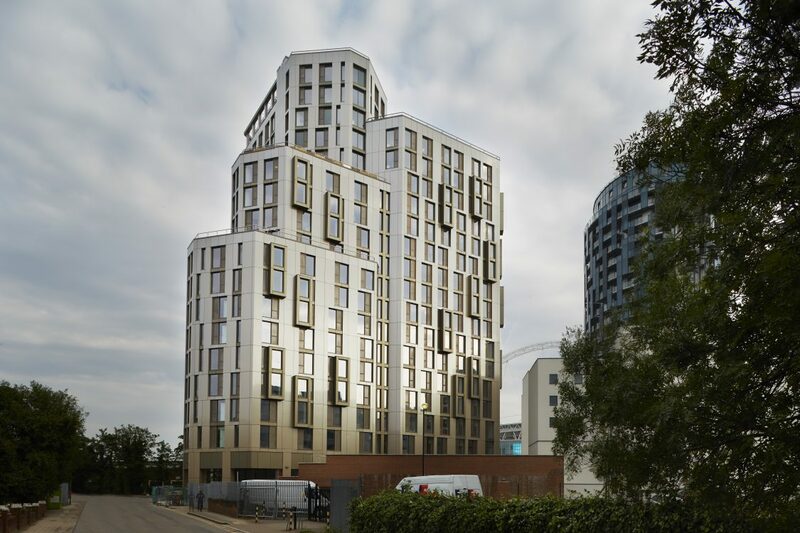 The combination of ALUCOBOND® Anodized Look C32 and ALUCOBOND® spectra Sahara Crystal supports the modern appearance and elegant design of the building. Another extraordinary aspect of this project was the building speed with modern methods of construction. 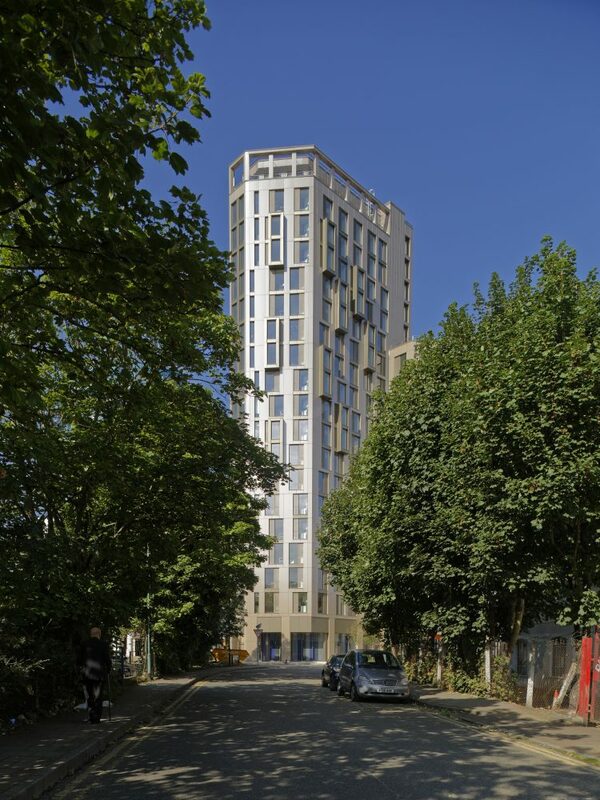 The residential units had been formed from prefabricated volumetric construction and arrived to site almost fully finished internally with many services in place. Plumbing and wiring was completed in the module with site connections between adjacent modules and into the cores. Kitchens and bathrooms were complete as well with all fixed furniture in place. 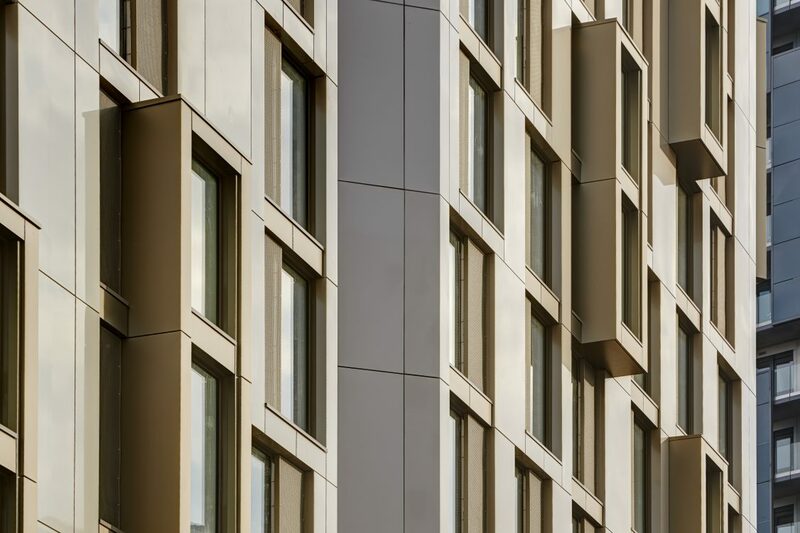 The cladding of the façade was realised with ALUCOBOND® cassettes, which are easy to install and thus supporting the building speed as well.